Rococo is local multi-brands shoes and accessories boutique that always has interesting window display. The second store at Plaza Senayan is now already updated with new window concept. 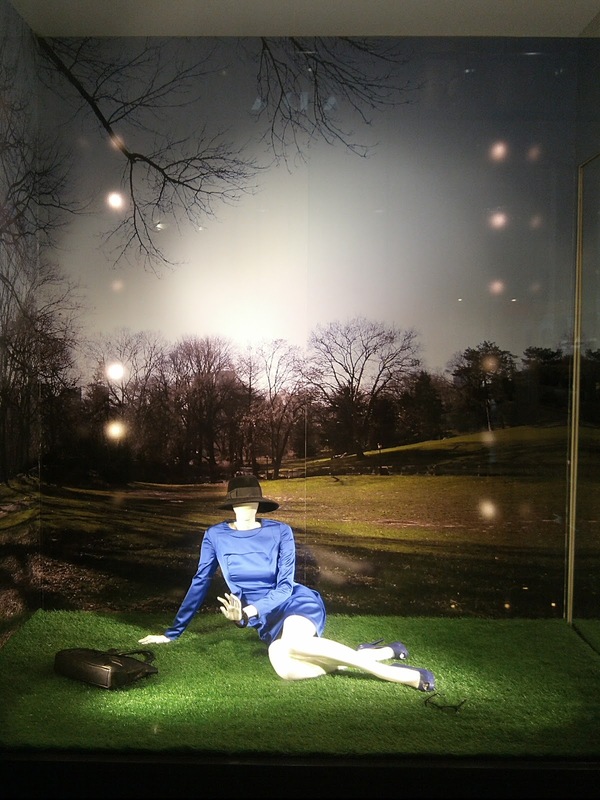 A mannequin wearing a chic blue dress and a hat is laying on the grass of a large park. 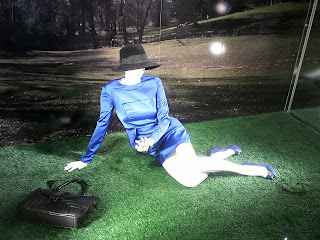 She is perhaps one of the well heeled ladies of Manhattan that spent the relax time at Central Park. She is alone and only accompanied by her bag and spectacles that are on the grass. The right angle of the park image make this display look outstanding rather than blank or boring although there is only a single property inside.